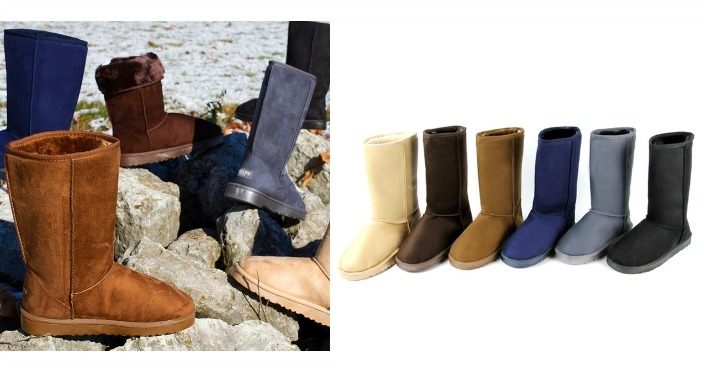 Sheeps Australia Classic Boots Just $14.99! Down From $150! Ships FREE! You are here: Home / Great Deals / Sheeps Australia Classic Boots Just $14.99! Down From $150! Ships FREE! Tanga has these Sheeps Australia Classic Boots on sale for $14.99 (Reg. $150)! Whether you’re trekking through leaves and snow – or just want to make a fashion statement – Sheeps Australian-Inspired Classic Tall Boots have got you, and your feet, covered! These 12″ boots can be worn in two different ways – their classic 12″ design, or by folding down the top of the boot to show off their plush interior. They’re comfortable to wear all day, and cozy enough to stay warm during a night on the town!